This episode the Grawlix Podcast reviews Marvel’s The Defenders Netflix series. A Letters Page question also prompts another visit to our comic book and podcast origins. Enjoy! 00:11:14 – A Comic Book Podcast? 01:08:41 – Our comic book and podcast origin story. Raw and somewhat uncut, the guys catch up on last week’s books and give some insight into the future of the show. Thanks for listening! 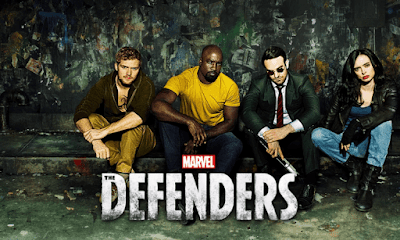 Ryan is joined by Trevitt from the Marvel Madness Podcast for an impromptu episode, discussing the new issue of The Defenders from Brian Michael Bendis and company. 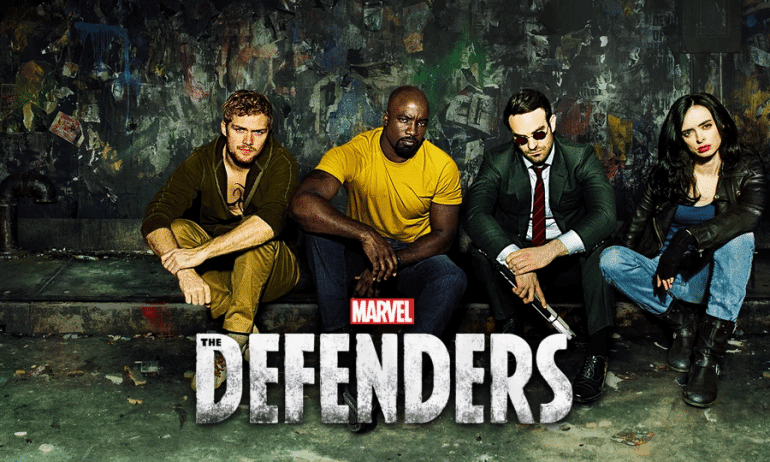 Trevitt has been championing this series and trying to get Ryan to give the new Defenders series a chance. Will this issue change Ryan’s mind and get him to continue the series? Tune in and find out! Thanks for listening! This week the guys review Marvel’s Iron Fist on Netflix. Are the critics right about this one? Has Marvel had their first stumble? Or do the fans need to watch it and decide for themselves? All these import questions and more are answered in their review of Iron Fist! Enjoy, but be warned there are spoilers ahead. This week the guys discuss all the amazing news and previews that came out of San Diego Comic Con 2016. Like the confirmation of Brie Larson as Captain Marvel, the very promising teaser for Justice League and the mind blowing trailer for Wonder Woman. Plus we learn what Thor was up to during Civil War. This and so much, much more on this week’s Super Hero Speak, so sit back and enjoy! This episode we cover Battle Scars #5, Fear Itself: The Fearless #10, Fear Itself: The Fearless #11, Defenders #4, Avengers X-Sanction #4, Avengers Vs. X-Men #0. This episode we cover Avengers #21, Secret Avengers #21, New Avengers #20, Secret Avengers #21.1, and The Defenders #2.